Very professional and courteous service, I thank you. 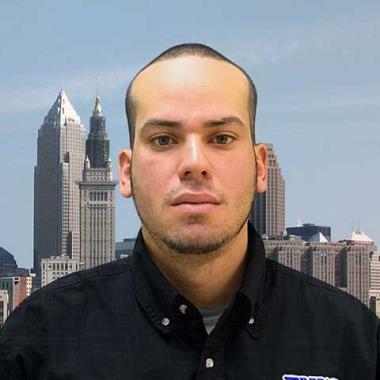 Our technician David was very thorough and was very caring with our new wood floors when moving the refrigerator. He was happy to explain everything he was doing along the way. Best service call on an appliance ever. We could not have been more satisfied with our technician Mac. He was extremely helpful and knowledgeable. I had never heard of Fred's appliance repair and was very leary when my call was answered by a a centralized center. My fears were soon laid to rest by everyone's professionalism from the warranty call center, Fred's and finally the serviceperson Macauly. I would definitely recommend these folks for non warranty work as well, They were all accommodating,knowledgeable, clean and polite!!!.. Installed the control panel in no time. Very friendly and professional. Paul did an awesome job - quick and wonderful service!! Great service, arrived when they said they would ,very friendly and professional. Refrigerator French door was a little lower than the other. Technician leveled the appliance as best he could and doors are almost even. He said the back left corner needed a shim and he didn't do that in the adjustment service warranty. Service has been good - have had a challenging time determining issue with Kitchenaid Microwave. Any issues are with Kitchenaid - Fred's has been great. Customer service team is friendly and helpful. Technician is timely and provides updates of expected arrival. He was quick and explained what it could have been! Quick and had manners! Even offered to wear shoe booties! Wasn't necessary in my home! Perfect kind of person to have do service in your home! OTR MICROWAVE WHIRLPOOL WMH53521HZ3 "Control panel, some buttons cannot be pressed or will not work. Parts say delivered but parts were not received. Ordering back out panel and control. *** parts Pre ID. Customer did not have POP on hand. If needed office to contact. ; ordrng 1 W11040881 (panl-cntrl) and 1 W11192682 (CONTROL )"
RANGE FRIGIDAIRE WFE515S0ES1 "Found a stack of pumpkin seeds underneath burner by insulation that was burning when turn self clean ,clear everything out with my shot vac,opt test ok"
REFRIGERATOR WHIRLPOOL WRX735SDBM00 "Found lots of ice on ice bin they are using the ice alot explain customer that onces ice bin is empty it takes 4 hours to make 8 cubes of ice so if there constantly using ice the bin will always stay empty no issue found on icemaker ,opt test ok"
WASHER MAYTAG MVWX655DW0 "F7E1 basket speed fault. Cleared. Went into auto test. Went through whole test and agitated, shifted and spin. All test good. Went into manual and tested spin and agitate separate both high and low, worked. No obstructions, nothing is binding. Calibrated. Checked underneath and looked at all components, look good. Op test ok."
REFRIGERATOR WHIRLPOOL WRX735SDBM00 Tightened handles. Op test ok.
DISHWASHER JENN-AIR JDB1100AWS Control that was ordered was a misdiagnosis. Interface would be needed to repair. Customer does not want to put additional money into unit. Please send to management for refund of part and labor. Collected part for return. DISHWASHER JENN-AIR JDB1100AWS "Control has proper voltage but is non responsive. Office to order control. ; ordrng 1 WPW10218826 (cntrl-elec 149), used 1 SHIPPING (SHIPPING AND HANDLING) from stock"
RANGE FRIGIDAIRE FGEF3030PFB "Replaced both elements, temp probe, timer. Did a temps test. Set at 350* Reading high. Had to adjust temp down -35*. Op test okReplaced everything per tech line. Replaced all components that can cause any temp problems. Any other questions customer to call customer service." WASHER WHIRLPOOL WFW8640BW0 Replaced drain pump and sensor. Tested out. Normal and drain cycle. Op test ok. RANGE FRIGIDAIRE FGEF3030PFB "Cc that everything is over heating and burning, even on low temp. overlay for timer scratched. Ordering temp probe, timer, elements.Called TechlinePaulEverything connects back to timer. Check probe. If probe is good, has to be a stuck relay on the timer. Also advise on how customers are using oven and setting temp. ; ordrng 1 316203301 (element,broil) and 1 316413800 (bake element) and 2 316419339 (overlay)s and 1 316490003 (probe) and 1 5304515069 (TIMER)"
WASHER WHIRLPOOL WFW8640BW0 "Arrived and found customer took off back panel, door, and part of the front to try to reach the drain pump.Error code is long drain. Checked drain hose, clear. Drain pump filter is clear from debris. Pressure hose is good. Cleaned air trap. Ordering drain pump and pressure sensor. ; ordrng 1 WPW10391443 (pump-water) and 1 WPW10448876 (switch-wl)"
REFRIGERATOR FRIGIDAIRE LFHB2741PFBA Replaced gaskets and installed permagum to seal holes. RANGE MAYTAG MGR6600FZ0 "Replaced trim door, tested, op test ok."
REFRIGERATOR FRIGIDAIRE LFHB2741PFBA Reclaimed refrigerant. Installed new dryer and evaporator. Pulled vacuum to 29 inches for 15 minutes and held for additional 15. Charged with 4.75 ounces of R134a. All tested ok.
DISHWASHER KITCHENAID KDTE104ESS2 "7-1 error code, no heat. Checked resistance of the heating line. All checks fine heating element and thermostat. Would need new board. ***** Do Not Order Part; ordrng 1 W10854225 (cntrl-elec 163.89), used 1 SHIPPING (SHIPPING AND HANDLING) from stock"
REFRIGERATOR FRIGIDAIRE LFHB2741PFBA Will return 1/16; schdld next appmnt for 1/17 THU ! DISHWASHER WHIRLPOOL WDTA50SAHZ0 Unit is not cycling through properly. Not washing dishes on bottom shelf. Found that wash arm was not locked into position. Locked wash arm into proper position. All tested ok.
WALL OVEN FRIGIDAIRE FGEW3065KBB "Took back cover off, found main harness wire and bake element wire both burnt. Customer does not want to go ahead with repair. Refund for part. **** Will return element if needed. ; ordrng 1 318231870 (wiring harness 119.04) and 1 318572721 (harness 102.98)"
RANGE FRIGIDAIRE FGEF3030PFB "Replaced leveling screws, timer and probe. Testing. Op test ok."
REFRIGERATOR FRIGIDAIRE LFHB2741PFBA "Put new housing in. Would not seat back far enough for door to close. Tired different ways and still will not work. ******Rescheduling, will need someone who has done the job before to help. ; ordrng 1 241829001 (bar-drive)"
WALL OVEN FRIGIDAIRE FGEW3065KBB "Checked oven sensor at 75*, in range of ohms. Bake cycle, it cycles between the bake element and broil element. Bake element was not coming on. Ordering element. ; ordrng 1 318601604 (element 239.76), used 1 SHIPPING (SHIPPING AND HANDLING) from stock"
RANGE FRIGIDAIRE FGEF3030PFB "CC of fluctuating temp when baking, some stuff done, some over cooked or under cooked. Checked temp prob, it is in the right resistance amount. Checking temps test. Temp way over. Back legs cracked. Ordering control and probe And legs. ; ordrng 2 316272900 (leveling screw)s and 1 316490003 (probe) and 1 5304515069 (CLOCK TIMER)"
WALL OVEN FRIGIDAIRE FGEW3065KBB "Temp test, bake cycle on. Set for 350* after pre heat Temp is testing around 360*. Set to 380*, temp testing 398*. Customer hasn’t seen any error codes. Op test ok."
WASHER AMANA NTW4630YQ0 "Called customer, home. No error codes. Went into service mode, when in spin, loud noise. Suspension rods are good. Block for basket drive corroded out. Grinding noise from gearcase. Ordering block and gearcase; ordrng 1 W10772621 (screw) and 1 W11255272 (GEAR CASE) and 1 WP389140 (drive block)"
DISHWASHER KITCHENAID KDTE104ESS2 "Wash motor humming, not running. Needs pump and motor assembly. Replaced from t/s. Tested. Op test ok.; used 1 WPW10605057 (PUMP AND MOTOR ASSY 156.45) from stock"